Prime Minister David Cameron has announced £300m government support for a big data human-genome mapping project in England. The four year project will allow scientists to decode 100,000 human genomes – a patient’s personal DNA code. It is part of a raft of government announcements of support for big data projects over the past few years. 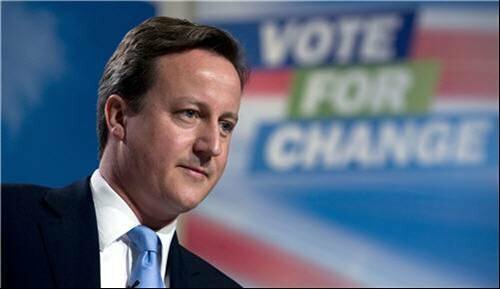 Cameron says the project will map 100,000 human genomes by 2017. The idea is to advance cancer and other rare disease treatment by sequencing the genomes of people already afflicted. It is hoped that new and better tests, drugs and treatment will ensue. Cameron unveiled a partnership between Genomics England and a San Diego based biotechnology company, Illumina, whose services will cost £78 million. Illumina, the statement said, will invest £162 million over four years, providing “infrastructure and expertise”. Genomics England is wholly owned by the Department of Health and was set up to deliver the “100,000 Genomes Project”. Health secretary Jeremy Hunt announced its launch in July 2013. Sir John Chisholm, executive chair of Genomics England, said: “This is a real milestone in turning this ambitious project into what we always intended, which is a world-leading project capable of delivering immense benefit to current and future patients”. From the data analytics supplier community in the IT industry, Simon Tilley, head of pharmaceuticals, SAS UK & Ireland, welcomed the announcement. “Genomics England is about saving lives”, he said. The Wellcome Trust is spending £27m on a sequencing “hub” at its Genome Campus near Cambridge. This will house Genomics England’s operations alongside those of the Sanger Institute. Jeremy Farrar, director of the Wellcome Trust, said: “The Wellcome Trust has invested more than £1bn in genome research … including pivotal contributions to the Human Genome Project, the world-leading science of the Sanger Institute, and critical work in global health, medical ethics and public engagement. "Genomics England will further exploit this knowledge for medical advances. We will be proud to host its sequencing hub alongside Sanger’s at our Hinxton genome campus, and to fund researchers who use its data to investigate disease”. The Medical Research Council has also put aside £24 million to provide the computing power to analyse and secure participants’ data. Meanwhile, NHS England has started the process of selecting NHS Genomics Medicine Centres. These will invite cancer and rare disease patients to have their genomes sequenced. NHS England has agreed to contribute up to £20m over the four year life of the project. Jay Flatley, CEO of Illumina, said: “Illumina is committed to partnering with Genomics England as they look to implement vital changes in the way healthcare is practiced”. The project is focusing on patients with rare diseases, and their families, as well as patients with common cancers. The project is currently in its pilot phase and the main project begins in 2015.